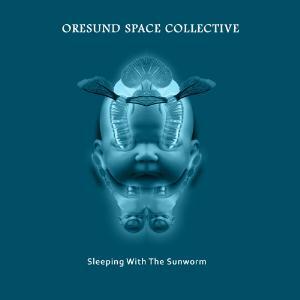 ORESUND SPACE COLLECTIVE "Space Balled"
Made up of musicians from America and Europe, Oresund Space Collective creates a lot of musical mayhem that fits into the space rock category. Different than a lot of similar bands, though, OSC's music is always improvised. That means you never get the same song twice. The group is one of the more intriguing space rock acts out there. I got to pose a number of questions to Mogens and Doctor Space about the past, present and future of the group, and a lot more. WORMWOOD CHRONICLES: It’s been about a year since we chatted. Can you catch the readers up on what’s been going on in the world of OSC? MOGENS: New releases with OSC and some cool concerts. Also Nicholas and me have played a lot with The Univerzals rehearsing, touring and recording. DR. SPACE: The name of the group came from the fact that this whole musical adventure started with Magnus (Mantric muse guitar player) and I would go back and forth to Malmö, Sweden across the Øresund bridge from Denmark to jam with the Swedish guys in Bland Bladen and they would do the same. It was just me and the guys from those two bands to start, but then it has truly evolved into an amazing international collective of improvisers. WC: You guys are always releasing new material. How do you keep it fresh for yourselves and for the fans? Dr. S: We have an average of two releases a year since we started, which I think is a fine output. This year is a bit extreme as we will have 4 releases! "Dead Man in Space", which came out on vinyl only last year (and is sold out) just came out on CD in April. Our double live vinyl only release "Live at Roadburn" came out in May and the new vinyl only release, "Entering into the Space Country" is due out in early July now. I just approved the test pressing today. On top of that we have the "Sleeping with the Sunworm" which is planned as a limited edition hand numbered digipack but we will wait to press this until later this year, although it will be available as a digital download August 1st. As for keeping it fresh, we try to bring new musicians into the studio sessions each time and introduce new instruments like pedal steel, mellotron, sitar, etc.. Mogens and I are also getting new synthesizer modules for our modular synths to create new sounds. WC: Do you prefer recording or gigging and why? Dr. S: Well, we record all our gigs so in that sense, they are one in the same. It is just the quality of the recording that differs. When we hit the studio, we are also playing totally live and everything is totally improvised. I like both situations. M: For me gigging is the most fun, getting into a good groove with the guys and see and hear people freaking out, is very rewarding. Recording on the other hand is really great, too. It is a pleasure setting up the gear in a top notch studio and jam and record. WC: What can someone expect if they come to see OSC live? Dr. S: A long night! Our last concert was 296 minutes and the longest we, or perhaps any rock band has ever played and recorded! We love to play. If they are lucky, we have someone doing some cool psychedelic visuals to go along with our music, but we can’t always arrange or afford this so it is not at every concert. M: Heavy grooves, spaced out sounds, rocking guitar riffs, cool visuals, and happy musicians enjoying to play. M: I don´t have a proper CD player so I am listening to vinyl or mp3. Lately I’ve been listening to Blind Melons’ first record, Beastie Boys’ new record and Pink Floyd. Dr. S: Sadly, I don’t really make time to read books. I am reading "Redwall" with my daughter now. I do read National Geographic cover to cover each month. I have a subscription to Classic Rock Magazine, as well for the last year. I read the journal Nature every week as well as Cell Stem Cell. M: Most stuff I read beside news is on the internet and is about synths, new modules for my modular, how to patch new sounds and so on. Dr.S: I still see quite a few shows. I was recently at the Sweden Rock Festival for four days seeing Ozzy, Judas Priest, Kansas, Styx, Down, Molly Hatchet, Hawkwind, Saxon, the Cult, OZ, Mason Ruffner, Jason and the Scorchers, Electric Wizard, Doc Holliday, Clutch and many other cool bands. I also went to see On Trial’s last concert ever the week before that. M: Roger Waters’ The Wall - amazing! Dr. S: African music. I love old 70s music from Africa, before they were spoiled by western music! These compilations that Soundway and Analog Africa have been releasing are amazing! Dr. S: There have been a lot of people that could be cool to have dinner with. I would love to eat with Noam Chomsky and talk about America and the corrupt government. A dinner with Dave Brock of Hawkwind would be fantastic. For a third, I guess it could be cool to meet someone like Jim Morrison or Jimi Hendrix. I guess we could have some interesting conversations… Frank Zappa, Fela Kuti, Henry Rollins…. Dr. S: If I was cooking, I would make Carne Adovada, a spicy red pork dish from New Mexico! Lots of beer! I hope they are all are or were meat eaters! M: The greatest vegetarian buffet the world has ever seen, and afterwards we would go to the lounge drinking whiskey and coffee and maybe have a smoke before we call on the big party! Dr. S: A lot more music for sure. It is hard to tell where our path will take us. Each year we seem to get invited to play some cool festivals and reach out to some new fans. We are releasing a lot of music and our fan base seems to grow a bit each year. I hope that we can continue to grow, create new and exciting music, jam with cool new musicians and move forward with the art of making improvised music. If the fans like it and support us, that is an added bonus. With luck we can play in some interesting places in the world, like India, where we hope to play in September! Dr. S: Thanks for supporting us and for all the fans of totally improvised progressive, psychedelic space rock music made from the heart and soul of musicians, check us out. We have a lot of music for free at the sites below and you can always support the collective by buying our music. All the money from this project goes directly into the band to support new studio sessions, tours, etc. No one is making any money.